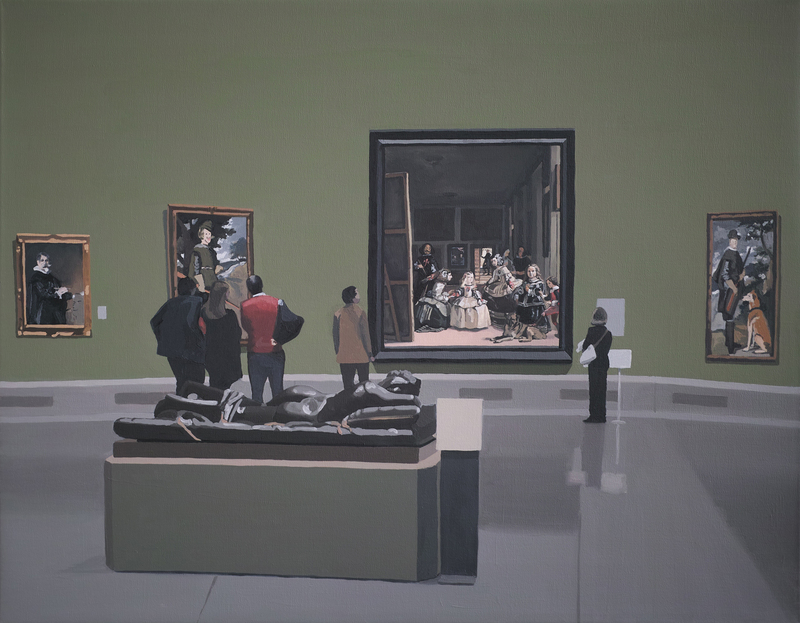 Have you ever taken the time to observe how people act at the museum? 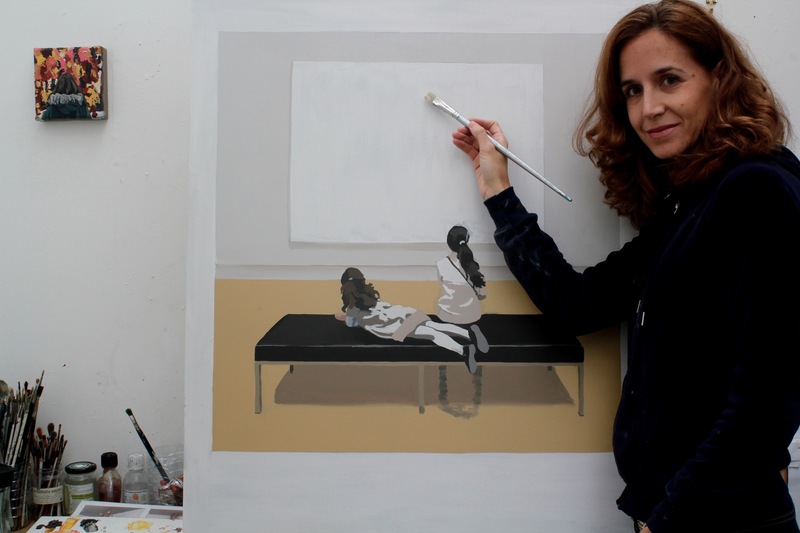 We talked to Elena García de la Fuente, Spanish artist based in London, and found out a bit more about her exciting creative process. 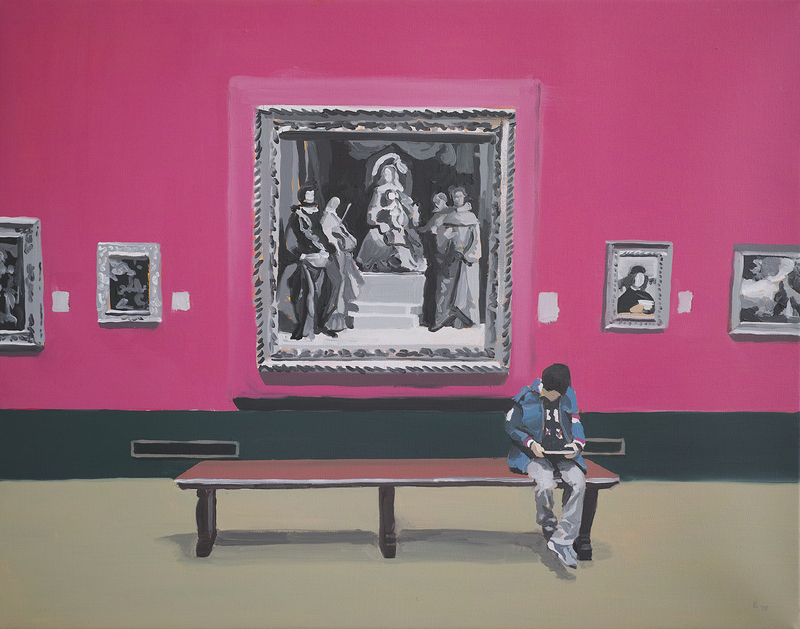 Elena is currently working on a series of oils that derive from her trips to museums. 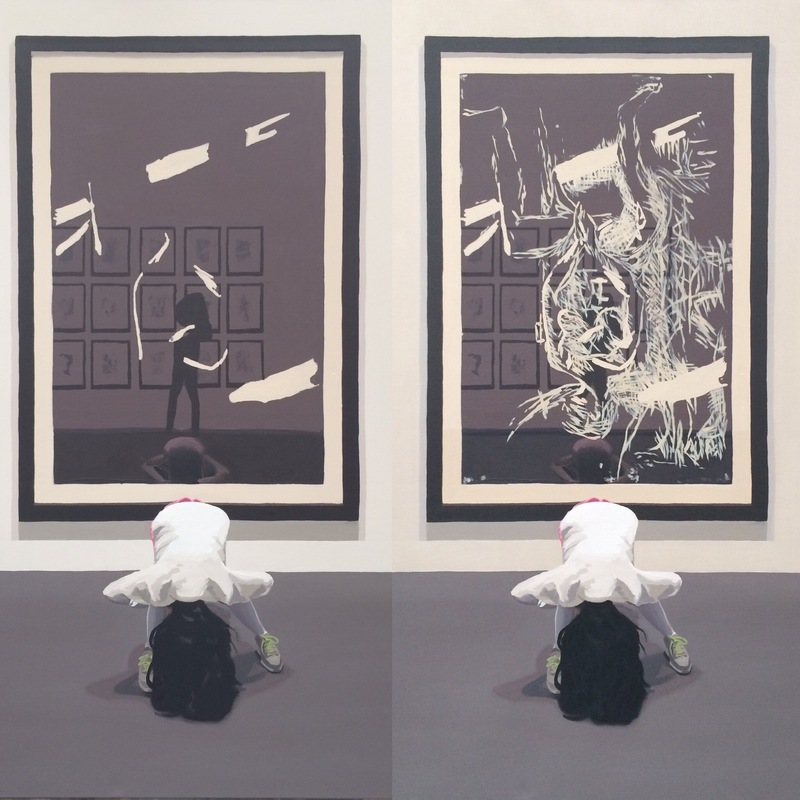 She doesn’t pay attention only to the art but rather, she is curious to investigate the way in which we look at it. 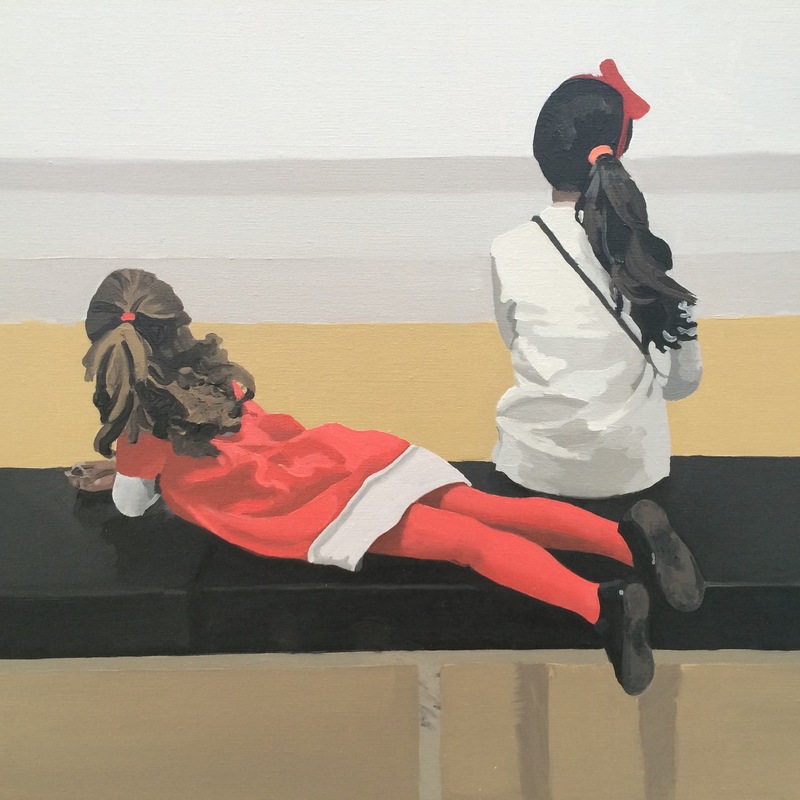 This exciting new project started when Elena decided to experiment by recreating situations she captured in photographs during a museum trip with her two young daughters. 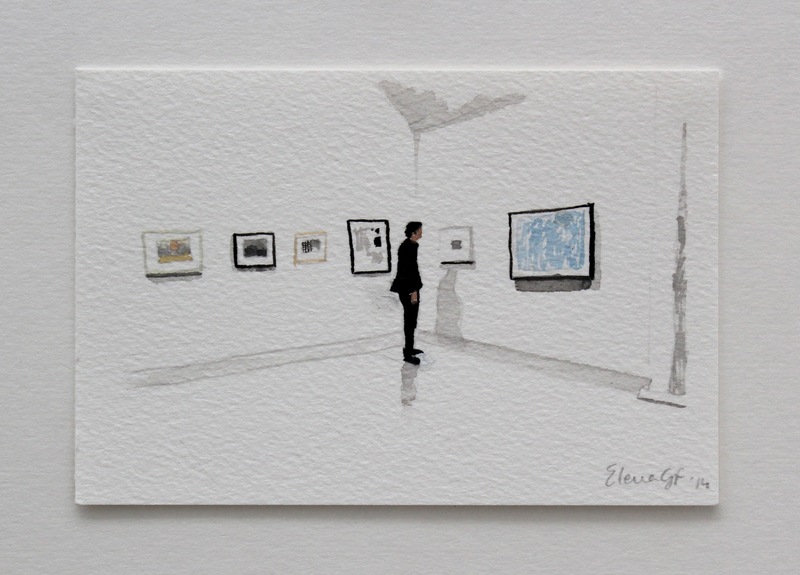 She started by creating a series of small-scale gouache works, to great acceptance from the public. 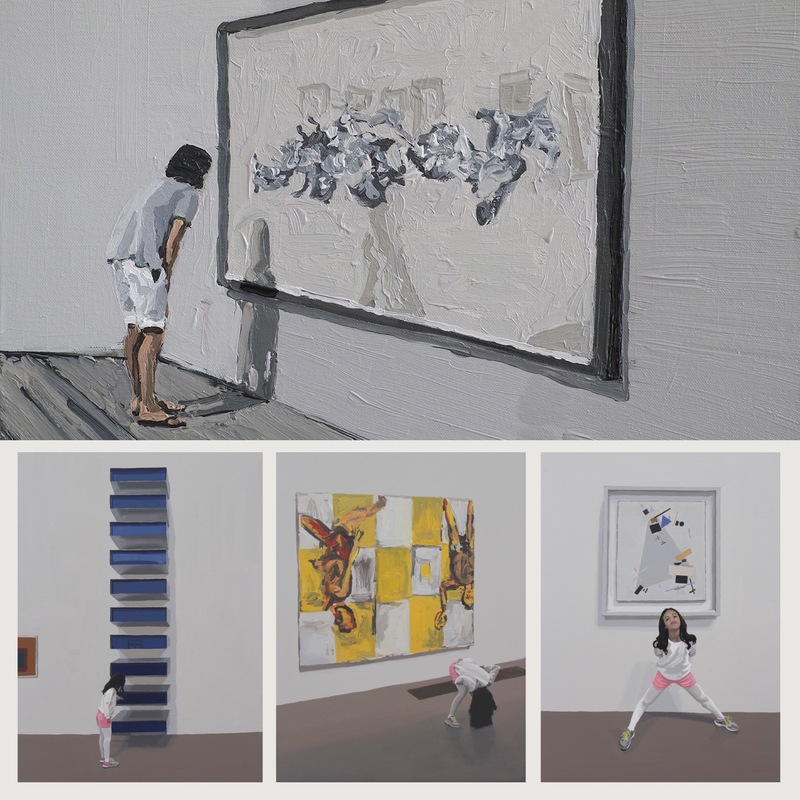 It is at that point at which she took on the great challenge of shifting mediums–from acrylic to oil paint. 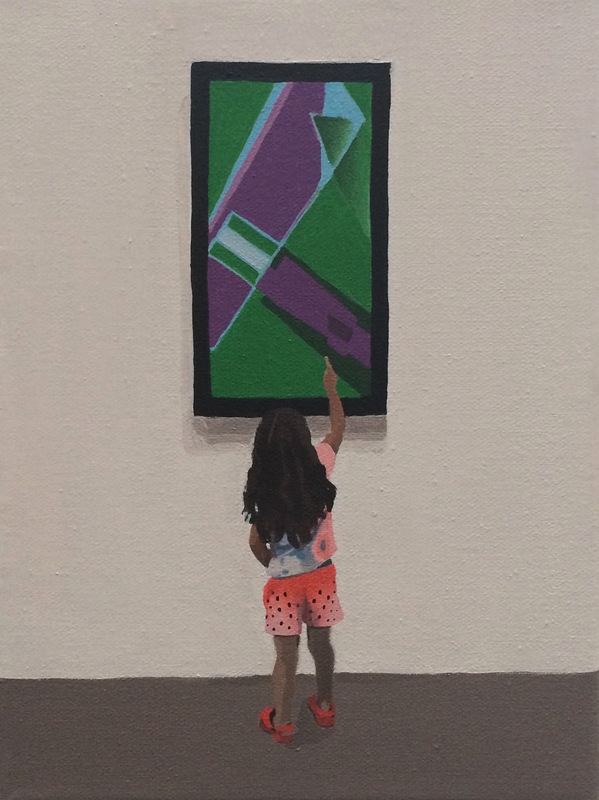 Before investigating gallery situations, Elena mainly focused on colorful renderings of people interacting in parks. Elena is currently finishing up the pieces that she will exhibit at the upcoming The Other Art Fair. We had an exclusive first look and we can’t wait to see it on display at the fair, which will take place in London from 15th to 18th October. 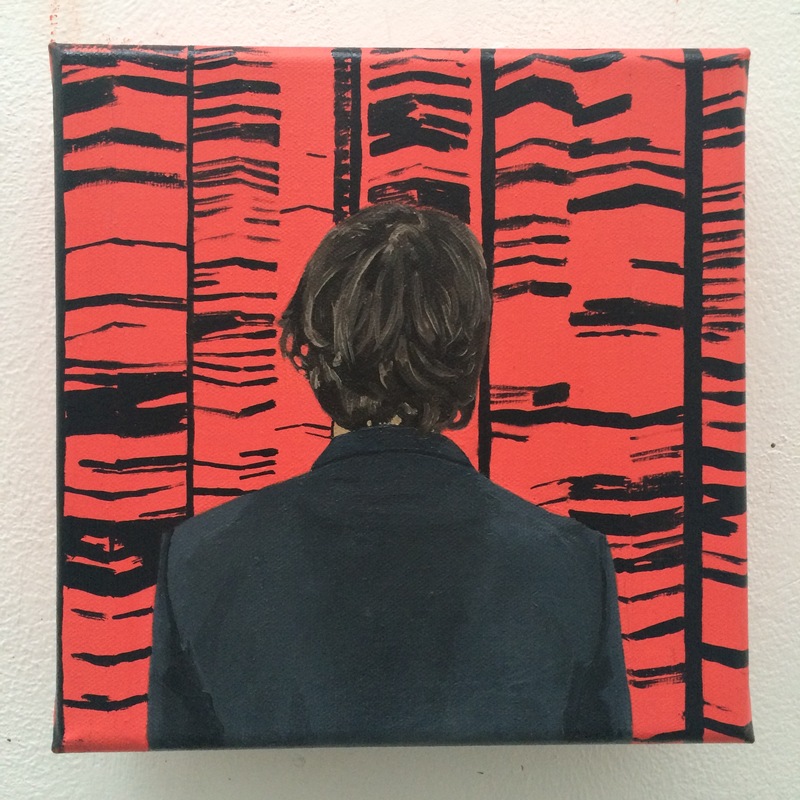 Elena’s work comments on the way we interact with art through institutional mediation. 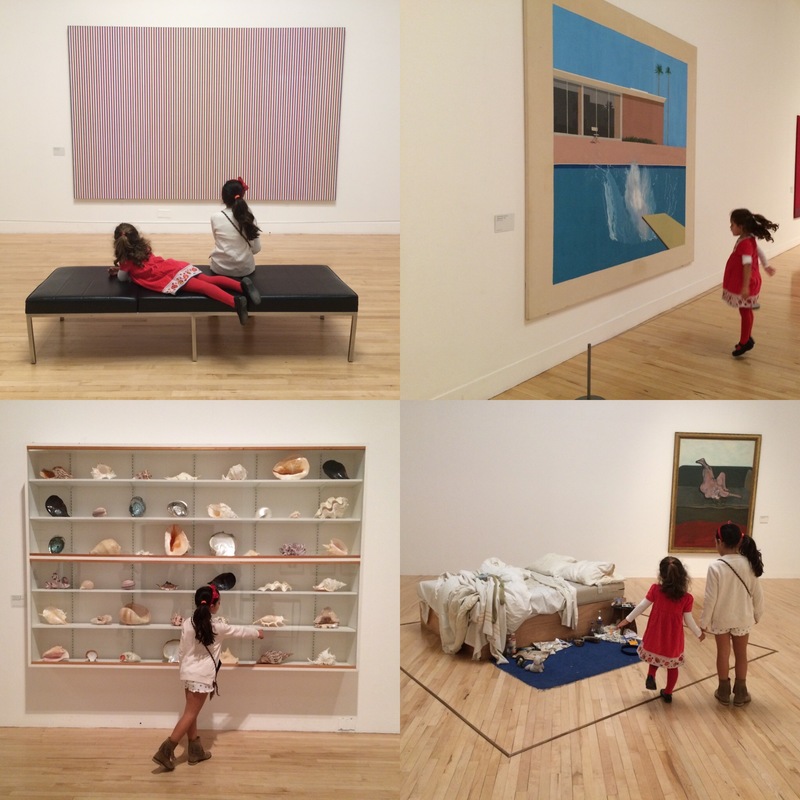 She explores certain codes of behaviour inside the museum in a playful manner. The human aspect of the gallery visit is explored with outstanding craft and it comes at perfect timing, for now more than ever the role of institutional practice is being put into question. Like Elena’s work and is curious to learn more? 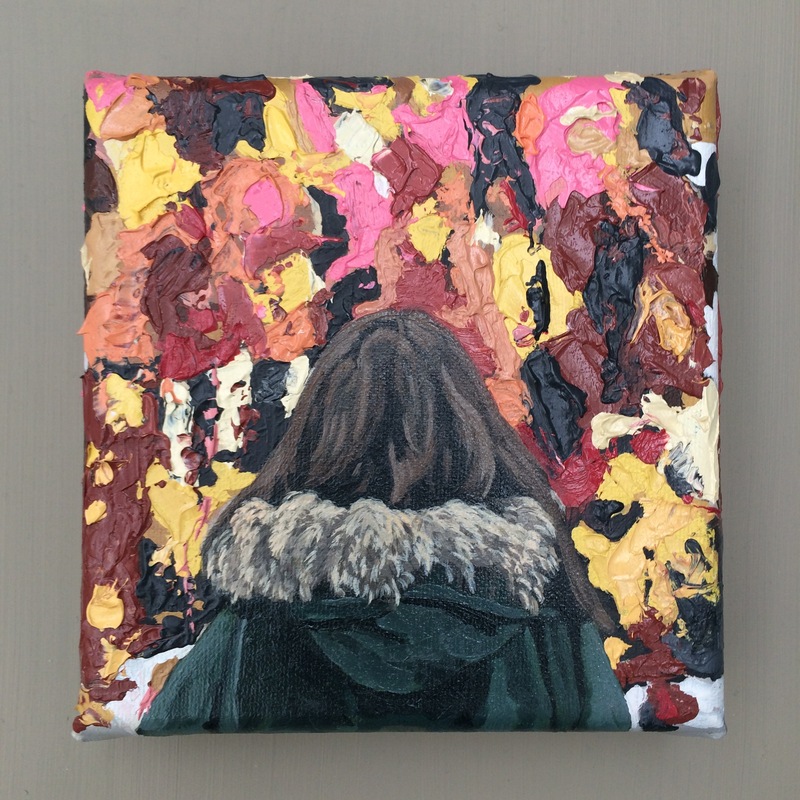 This entry was posted in Artists, Interview, Review and tagged Artist, ElenaGarciadelaFuente, Exhibitions, Visual arts. Bookmark the permalink.